Using mulch products when installing a new lawn will increase the likelihood of successful lawn establishment. Mulch is used for two main reasons: first to help keep seed moist during germination and second, to prevent seed and soil erosion. Another use is to create a green look during germination and early seedling development. This can be important in highly maintained landscapes or for special events in highly visible areas. 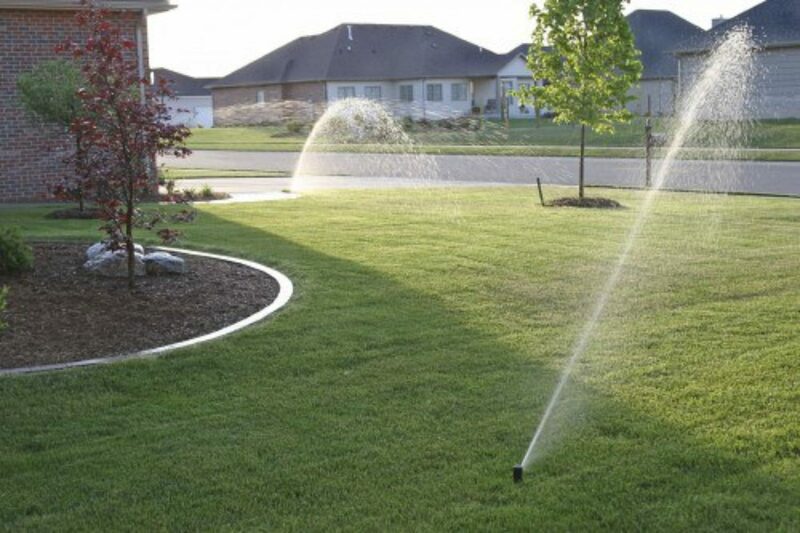 Moisture management is key to successful lawn establishment. Other important factors are seed selection, fertility, soil properties, sufficient sunlight, and a long-term maintenance program. Too little moisture can result in partially germinated seedlings dying. Too much water either by rain or aggressive irrigation can cause seed and soil erosion. There are two types of areas which benefit the most from using erosion control; sloped areas and areas prone to accumulated water runoff. Soil can absorb a limited amount of water in a given amount of time. When it rains hard the soil will allow some water absorbsion. The excess water stays on the surface of the soil and will run downhill. As it continues to rain hard more and more water accumulates at the surface and the water increases in volume and velocity, as the effect intensifies (more water starts moving faster), the water will displace seed, soil, and stones. The best mulch products will hold moisture near the seedlings and keep surface water movement to a minimum. The most effective lawn establishment mulch products are erosion blankets. These are most commonly made from straw; however long wear blankets can be made from other materials. 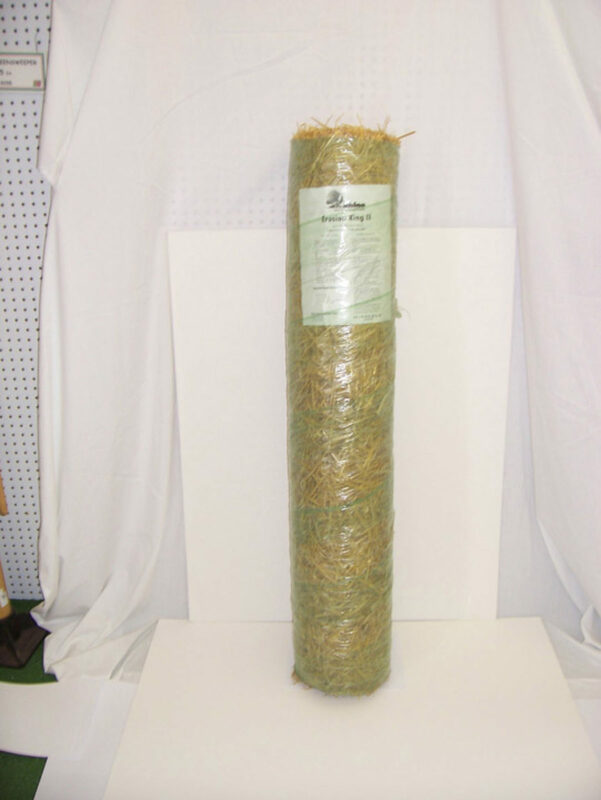 A biodegradable straw blanket is typically best for establishing a residential lawn establishment. Long wear blankets are more for drainage basins and channels or other severely sloped areas which will most likely not be mowed. 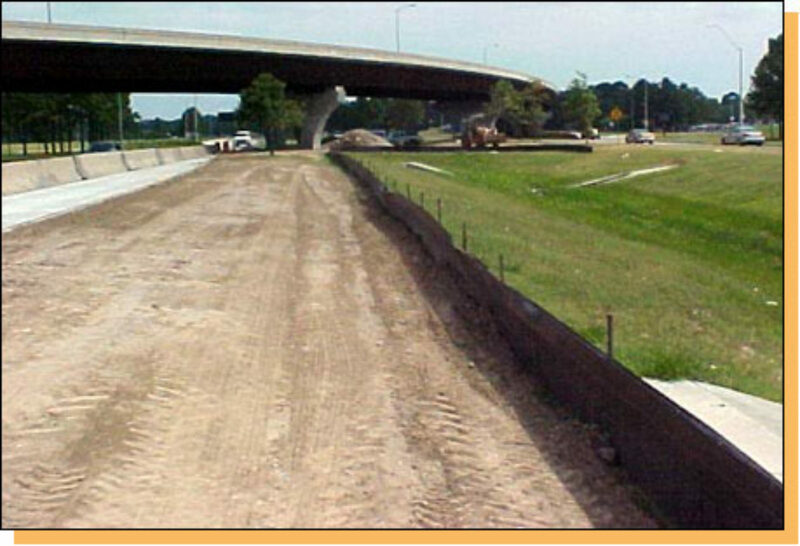 Steep sloped areas should be covered with erosion control blankets. Mild sloping areas where water runs down from a driveway, large walkway or at the end of a downspout should also be covered with straw erosion blankets. Level areas which are not subject to additional water flow will not require straw blankets. Since the erosion blankets are relatively expensive they are typically used sparingly in a residential landscape for lawn establishment. 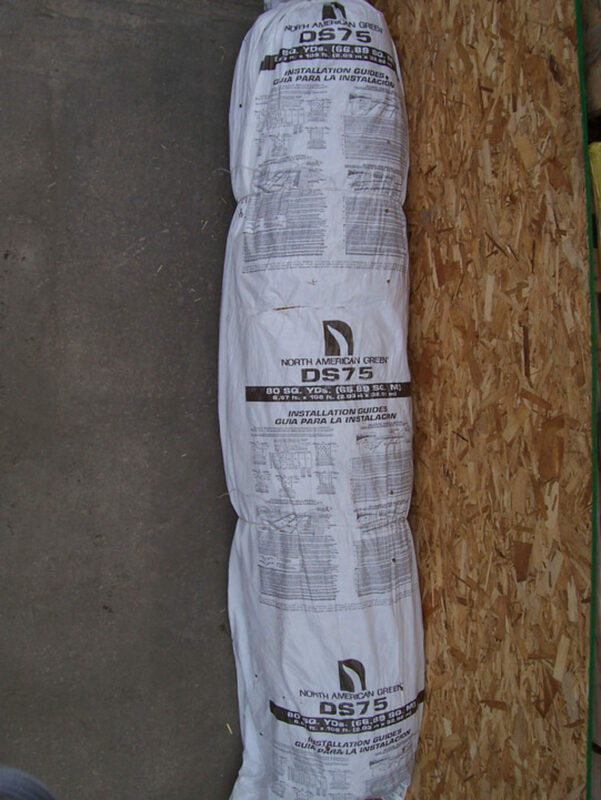 The photodegradable netting is designed to substantially degrade in 45 days. If the netting comes up easily and appears as though it may get wrapped up on the mower blade rake the excess material out before mowing. The erosion mats come in 4' x 50' and 8' x 112.5' rolls. The blankets must be tacked down with metal staples or wood stakes. 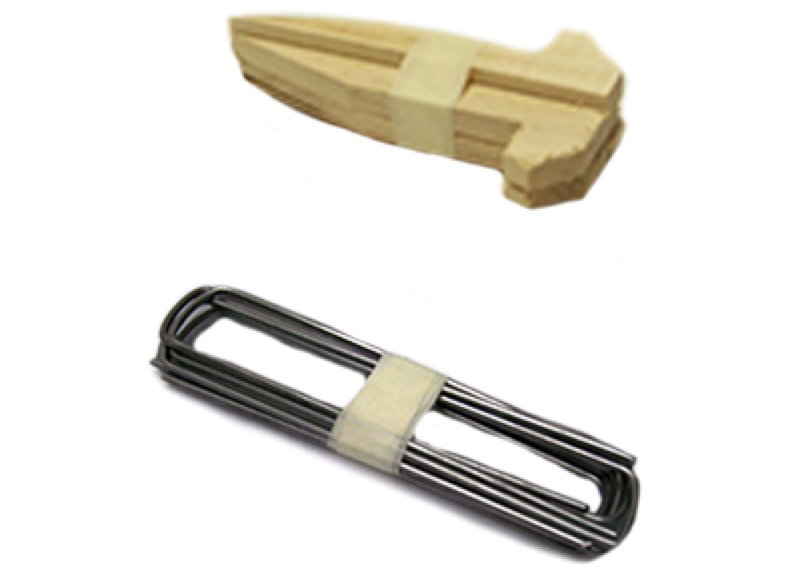 Typically metal staples are used. staples at the uphill end of the blanket and on overlaps. Bury the top edge of the blanket to keep water from running underneath it. EZ Straw comes in a bag approximately 2/3 the size of a bale of straw. It has a glue type material called “tackifier” mixed in so it binds together better than unprocessed straw after it is spread out and watered. The tackifier makes it more resistant to being displaced by water or wind. 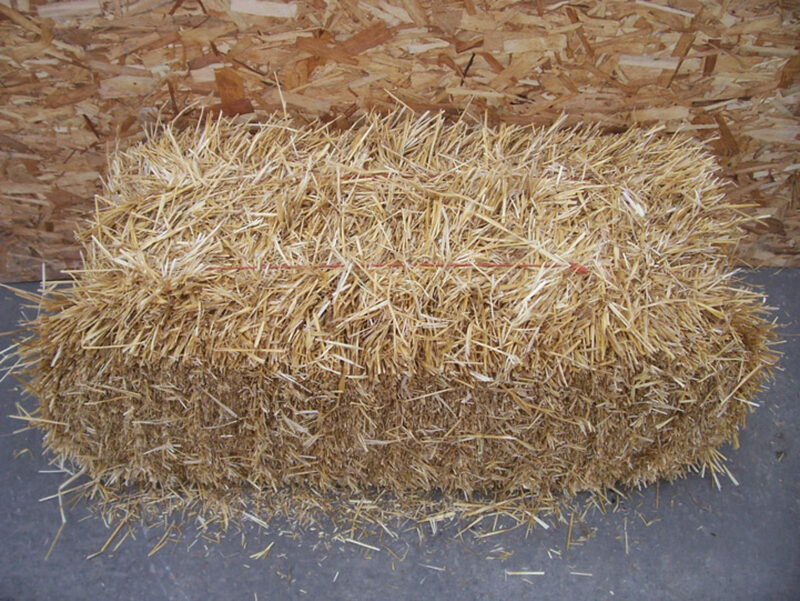 Straw is sourced from chopped down wheat from farm fields. It is effective in creating a layer which reduces water evaporation and therefore retains moisture for the germination process. 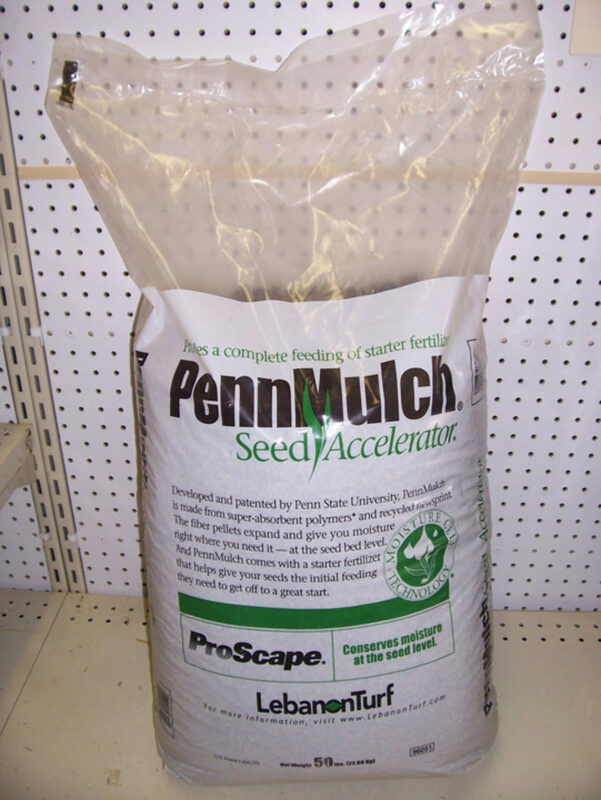 It can introduce some weed seed and also may be blown around, but is a relatively low cost way to improve germination and turf establishment. It may need to be raked away depending on how it mats down and how much is used. 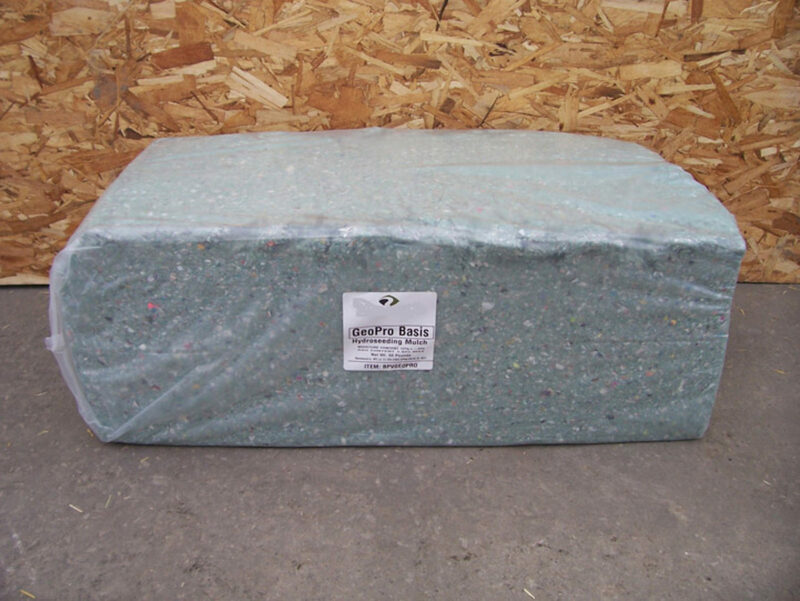 In general one bale will cover approximately 1,000 square feet. EZ-Mulch is another good product for helping speed the germination and turf establishment process. EZ-Mulch pellets are water absorbing paper and polymer pellets with fertilizer. The pellets expand when watered to protect and create good soil-seed contact. The patented formula retains moisture and soil nutrients, biodegrades naturally and is safe to apply by hand, or can be spread with a broadcast spreader. It is green in color and helps improve the look of the area being seeded where aesthetics are important. A 50 lb bag covers approximately 800 square feet. Hydro mulch is typically made from recycled newsprint, but also can be made from wood fiber or a combination of wood fiber and newsprint. This product is intended to be used in machines in which you put water, fertilizer, grass seed and hydro-mulch in a tank with an agitator in it. There is a pump and hose on the machine which sprays out the mixture onto the area to be seeded. After the mixture dries out it binds together and is very effective in maintaining good moisture to seed contact.It can be used in conjunction with straw erosion blankets since it does not slow water down as effectively as erosion blankets. 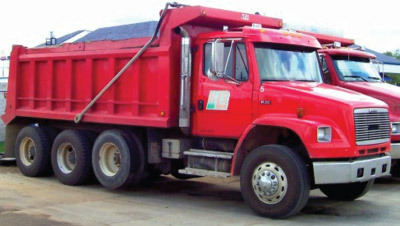 A local landscape contractor can apply Hydro-Mulch or use small hydro-mulch machines available at some equipment rental stores. Typical application rates are approximately 1500 lbs per acre.We carry 100% number one news print sourced cellulose based mulch in 50 lb. bales. Silt fence is used for controlling runoff on excavated sites. The fabric fencing allows water to seep through but keeps all soil from getting through it. The idea is to keep eroding soil on site. This is to protect neighbors land, roads, roadside drainage systems, bodies of water etc. from being contaminated with the separated silt and sand runoff. It comes in 100 foot rolls the porous fabric is 2’ high.